Happy Black Friday! Yup, it’s that crazy day those Americans made to make a good excuse for a discounted shopping day before Christmas. I think, it’s a fantastic idea to get all those gadgets and presents on sale instead of paying full price but I know just as many dislike it as well. I have fond memories of spending Thanksgiving with family and then gathering with all my friends to hit the shops the next day for it. I have scored some major sales on black friday so it will always be a favorite day for me. I love seeing that it’s now happening all over the world even without the holiday Thanksgiving before it. It’s the best transition from our Thanksgiving celebrations to Christmas festivities. I always put my Christmas decorations up the next day too. I can’t wait to get them up this year. I have been trying to read blogs that I don’t often get to read on a regular basis but still love so much as well as stay loyal to the blogs I have been reading for years now. It’s hard to find balance as I would love to support everyone on ever post if I could. 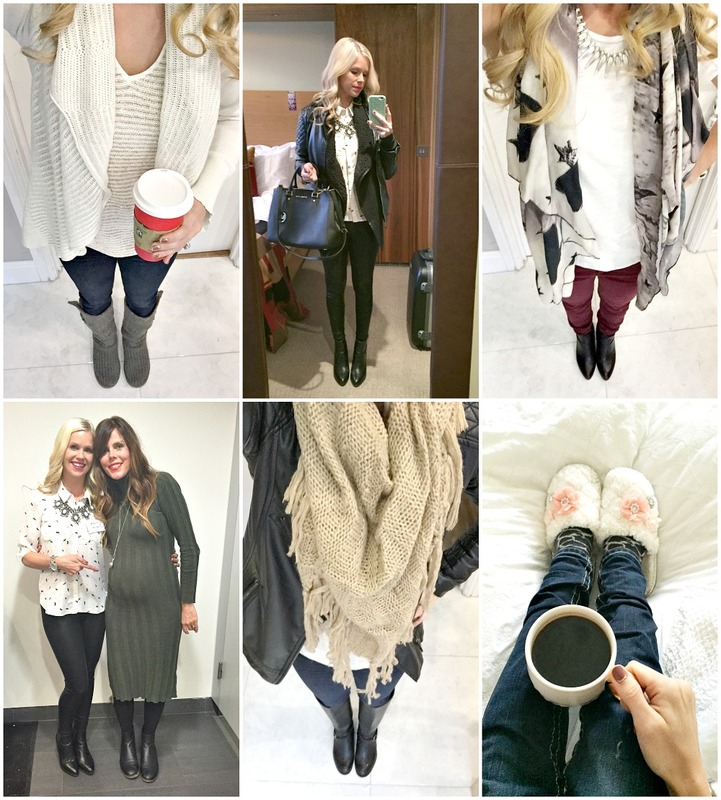 Here are a few I am reading and loving this week: The Diary of Midlife Mummy, Mummy and Monkeys, Pouting In Heels, Mummyofboygirltwins, TwinkleDiaries, Stressy Mummy, Mr and Mrs T Plus three and so many more… I think I was reading the last few nights way passed midnight on these blogs. Have you heard? Let’s Talk Mommy and Share With Me had a total makeover. One that was very needed and I have been working on with a lovely creative lady since the beginning of summer. It’s so amazing to finally have it up and feel more like me. 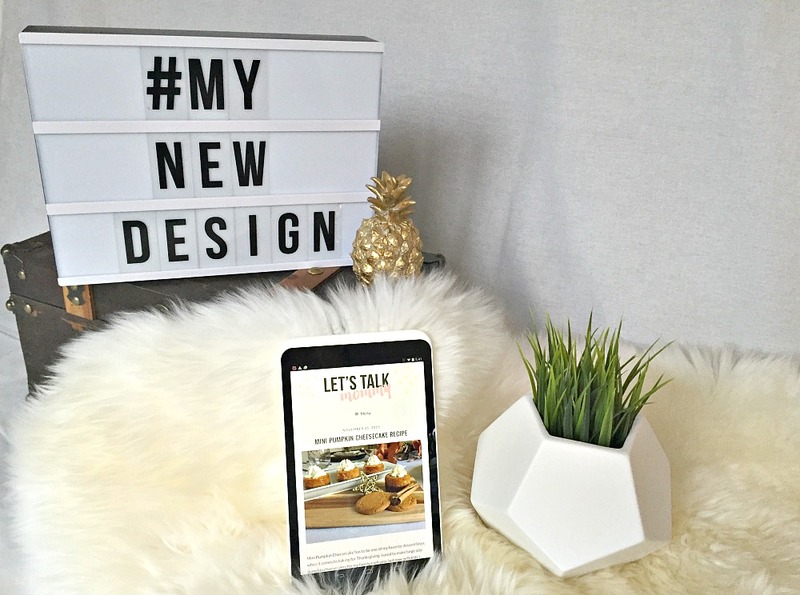 I have always loved my blog like my second baby but I was never in love with the look of it until now. It’s everything I wanted even if by the time I got it up so many others have similar elements to their blog. I love how many now have instagram bottoms that was one of my must haves. Instagram has to be my favorite social media ever. I love that I can scroll to most blog’s bottom now and see a whole display of their photos. I have started following more instagram accounts because of it. I hope people will do the same with mine too. What do you think of the new look? Do you like the new Share With Me badge? Don’t forget you don’t always have to link up to Share With Me blog hop, it’s a great way to just read a variety of new blogs all in one place too! As recommended from our lovely host Morgana, I have started watching How to get away with Murder on netflix. I love any kind of lawyer/law show so we are loving this one. We also have been finishing up season five of Suits. So in love with it still after so many seasons. Our friends are trying to get us started on Breaking Bad but not sure it is my cup of tea…any suggestions? Oh I have been cooking and baking so much this week for Thanksgiving that I could list a million things I have made here. 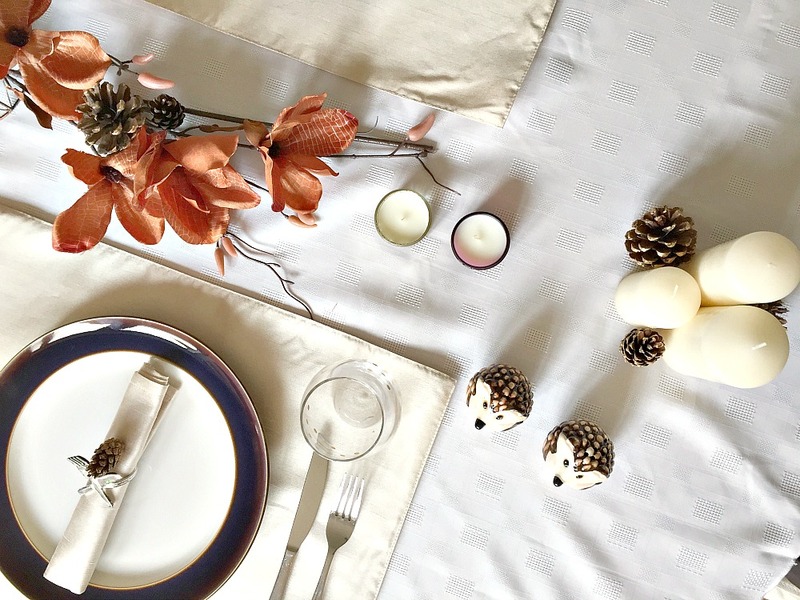 From devilled eggs, green bean casserole, corn bread, cream corn, roasted turkey, stuffing balls, pumpkin cheesecake to festive drinks and setting the table. 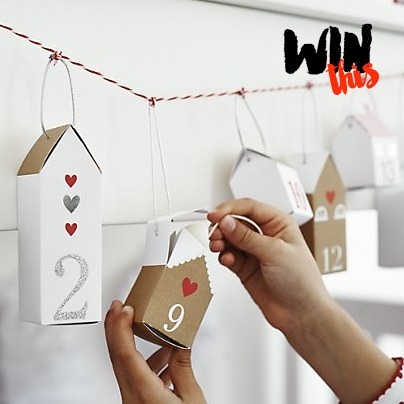 BRAND NEW GIVEAWAY: I have a lovely giveaway in the spirit of the holidays, I am giving the chance for one lucky reader to WIN this gorgeous Little House Advent Calendar from The White Company for Christmas! It’s so beautiful and I absolutely love ours and know it would make a lovely Christmas decoration as much as it will be fun for the kids. Those cheesecakes! They look delish. I may just have to try that! I’m a US expat in the UK as well and this year I did nothing for Thanksgiving, kinda regretting it now but it’s just not the same! Oh bless you that’s awful. I know the feeling I have made little effort before I had kids in the uk but I felt this year it really did feel like Thanksgiving. We had my whole family on facetime with us too and a feast and it was the first time I didn’t feel I wasn’t home. Oh I will have to have a look. Thanks Sian, and thanks for the lovely compliments. I love it so much and so much more proud to show it to people than before where I hated the look of it. It’s lovely isn’t it? We love ours. It’s a great little calendar. I love ours. Good luck. Thanks Lara that’s lovely of you to say and thanks for stopping by and commenting. Hope to see you again soon. Have a lovely weekend. 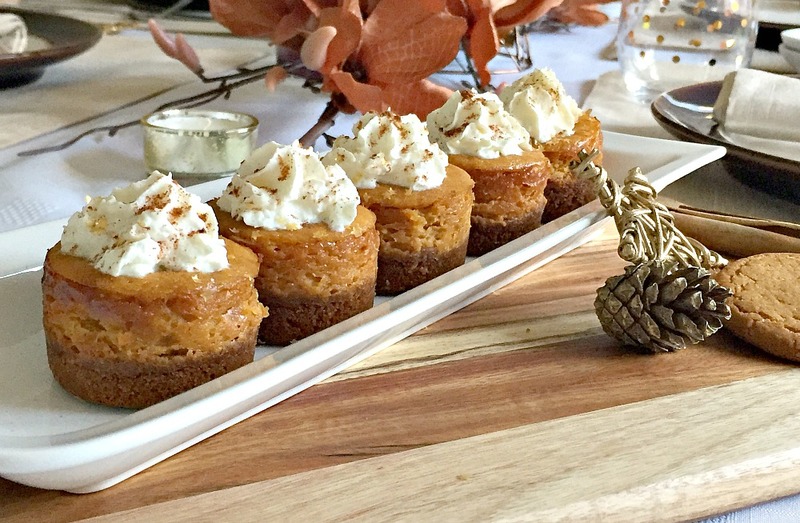 Those pumpkin cheesecakes look amazing! Hope you had a lovely thanksgiving day! They came out way too good and I may have ate way too many. Ooops. Tis the season to over eat. Thanks we had a lovely thanksgiving. The cheesecakes came out too good I ate way too much solo. Best slippers ever got them years ago from Next like socks with shoe bottoms. Brilliant. Glad you like the new blog design. I was so excited to share it. Have a lovely weekend yourself babes. Oh yes it was all worth it for Thanksgiving. Although that usually starts me off on a food frenzy from Thanksgiving to Christmas. Eeek Thanks Ikea was a success but sadly spent way too much as usual. Oh yes so time consuming but love it. I am constantly trying to keep up and be loyal to those that support me as well as read my faves too. Glad you like the new look. Gorgeous Advent calendar 🙂 And love the mug too! Thank you so much Maria… Good luck on winning the advent calendar we love ours and the mug I wish I would have bought a whole set of them last year as every year it’s different from starbucks and these are my fave. 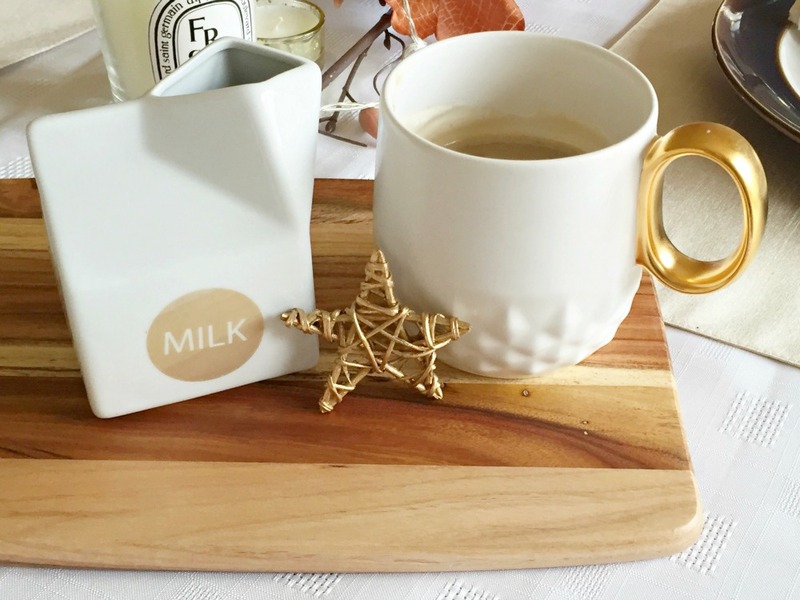 How utterly adorable, I love the white company and these look so cute. I am absolutely in love with the White Company too. Amazing Christmas items this year. Thank you. Ahhh thank you darling so kind of you. I am sooo happy with it. It’s way more me and my personality than the last one. You should after all it’s the american indians helping the uk pilgrims harvest the land and survive both countries should celebrate it to be honest. lol Agree though weird you have Black Friday for making money but not the day to give thanks. Happy weekend to you too lovely. Ahh Becky you are so kind. It’s a very busy time of year that’s for sure. I feel like I a constantly running in circles. lol Good luck on the comp. Love the look of the advent calendar (and your new blog style), I like something a bit different so would love to win it. The advent is awesome isn’t it? I love ours. The blog design was a long time in the waiting and making but SOOO worth it. Hope you have a lovely weekend. Thanks Lizzie. It suits me so much more than the last one did and easier to read on the tablets and cell phones. The grey just wasn’t working for some. I had a lovely Thanksgiving thank you. Love the new look! The advent calendar looks lovely thanks for the chance to win! Thanks Clare it was a long time in the making but I am so excited about it and love it. This looks lovely. I just bought a dress from there for a new baby cousin, sooo sweet! I love the White Company the kids have all their pjs so lovely. Best of luck. Thanks for stopping by and commenting. Best of luck. Oh thanks Hannah. I am the same I used to change it alot because I never felt it suits me right or things go wrong with it but this time I am totally in love with it. They came out delicious. It was amazing to see you as always. Thanks for the design love I am loving it for once. lol It makes me want to blog more somehow more proud to show people it. Wasn’t keen on the old one. I really like How to Get Away with Murder! Mr U really liked Breaking Bad – I watched about 3 episodes and knew it wasn’t going to be my thing. Interested to hear if you like it?! I am loving it too but hubby watches it with me and I am always waiting for him to have free time to watch the next episode. I am tempted to skip ahead shhh don’t tell him. I don’t think Breaking Bad will be my tea either but might have to test it out. Will let you know. Oh the cheesecakes were amazing we all ate way too many of them too quick. Glad you like the new look. Loving it myself have hated my own theme so bad for so long. Have a lovely week and thanks for stopping by and commenting. Oh yes we can’t do chocolate here due to allergies so these work perfect for our little family. I love ours on our living room shelf. (catch it on my instagram today) Good luck to win! Your Thanksgiving meal looked amazing. Not really Breaking Bad but enjoy suits. Lovely giveaway! Thank you Christina. It was a lovely special day. I haven’t seen it yet but thinking it’s going to be more for my hubby not me. It really would wishing you best of luck. Just put mine up today (you can peak on my instagram) and I am loving it so much. Makes the room festive. I just love this advent calendar! My kids would enjoy opening it each day to find a fun surprise until Christmas! It’s a lovely one for the holidays and the kids love it too. Good luck to win. Your outfits are so cute and ur photos are fab too. This advent would be adorable for Blake. It’s lovely for kids and we had so much putting them together. It really is a lovely holiday based on family, support, and love. It really is tough but I try my best to support as many as I can. Oh you are too sweet. I am loving it. Thanks babes. I love the new design. Those cheescakes look delicious! Oh thank you so much. Glad you like it. Cheesecakes were so delicious perfect for holiday coming up. Thank you ever so much darling friend. I am glad I got to show you from the start and throughout. I think it really suits me better. lol 🙂 Nothing fancy simple and clean up with sparkle color. lol That’s me! Thank you ever so much Jo. I am so happy with it. I have waited so long to find a look and style I wanted and liked that fit me to a t and I think this one does it. hahaha Oh yes it’s a good one to add. Although haven’t had much time to catch up on on it lately. Netflix binge over christmas sounds amazing. Thank you very much. I am really enjoying the new look it’s more me. It really was a happy dance moment. I hated my last one. You so get it I love that. Have a lovely week too. It really is lovely thank you so much and best of luck. I cant get over how cute this is! I love that its a little bit vitage and rustic. It would suit our home perfectly! I think so too. Love the vintage style of it. Good luck. I’ve been meaning to tell you that I love the new look of your blog. The Instagram bar on the bottom is great. Congrats on the redesign! Oh thank you so much. It was a long time in the making and testing out but we got there in the end and I love it so much more than any of my last ones. Its very me! Oh thank you ever so much. I know the feeling I have so much to catch up on too. I have been so busy lately I always feel so bad. Thanks for coming back to catch up.